ca 360 - 340 B.C. 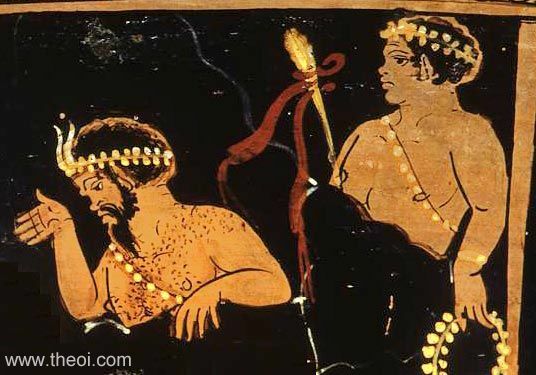 Pan and a Satyricus (boy Satyr) observe Cadmus fighting the Dragon of the Ismenian spring. Pan is depicted as a hairy chested god with the ears and horns of a goat.